Chardonnay for the 2010 Medici Ridge was sourced from the cool valleys surrounding the Southwest town of Manjimup. The vineyard follows organic principles, is non-irrigated and located on gravelly loam soils. The principal clone is Mandoza and is cropped at less than 1.5 tonnes per acre. Additional fruit was sourced from a certified organic vineyard in the Rosa Glen district of Margaret River. The 2010 vintage was hand-harvested with the first batch picked on March 6 following the second batch on March 12. We look for ripe, full flavoured fruit, lively acid and delicate tints of golden berries. Fruit was whole bunch-pressed resulting in low-phenolic juice and cold-settled over-night. Juice was then inoculated with selected yeasts and with high solids content. It was fermented in French oak barrels at 24 degrees. Following fermentation the wine was stirred weekly for three months to build mid-palate structure. Malolactic fermentation was discouraged. A proportion of unoaked chardonnay was blended back prior to bottling. This represents a continuing development in our chardonnay style exclusively using Southwest fruit. A fresh, cool-climate style, the use of both new seasoned oak has added complexity to this stylish and contemporary chardonnay. The bouquet exhibits hints of peach and citrus and subtle cashew nut and lees characters enhanced by delicate oak use. 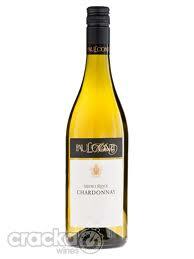 The palate is fresh and lively reflecting quality cool-climate vineyards. Honeydew melon and stone-fruit flavours are evident as a young wine which will develop toasty characters as the wine matures. Ideally suited to fresh shell-fish and grilled seafood or lightly sauced white meats. Inviting now, the wine will develop further complexity with careful cellaring in the medium-term (2-4 years).